Household Words was an unillustrated weekly magazine conducted and edited by Charles Dickens from late March 1850 through May 1859. It was issued weekly, but also monthly and as bound annual volumes. 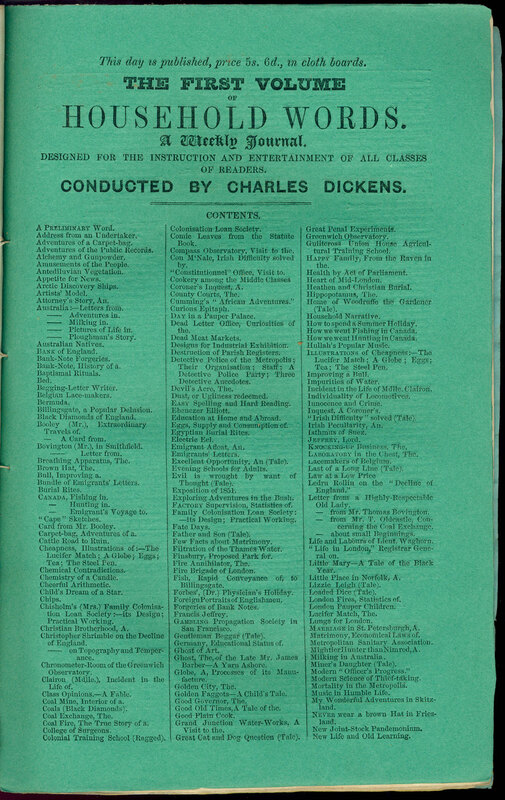 Most articles were unsigned; many were edited or written by Dickens or his co-editor William Henry Wills. The first issue featured Lizzie Leigh, a story by Mrs. Gaskell (author of Cranford), and other stories, poems, and anecdotes. 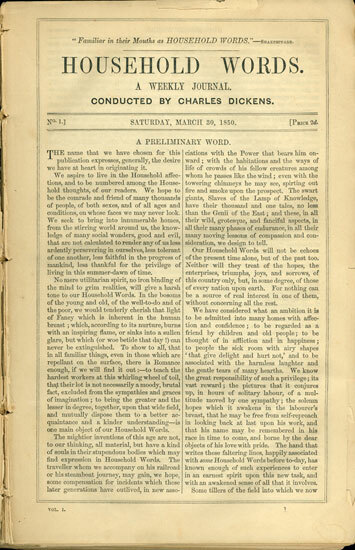 Serialized novels were not part of the original plan for his magazine, but Dickens' tenth novel, Hard Times, was run in twenty installments to help boost sagging magazine circulation. Household Words was published by Bradbury & Evans, one of Dickens' two principal publishers. Various American publishers reissued or reprinted some parts of the magazine. 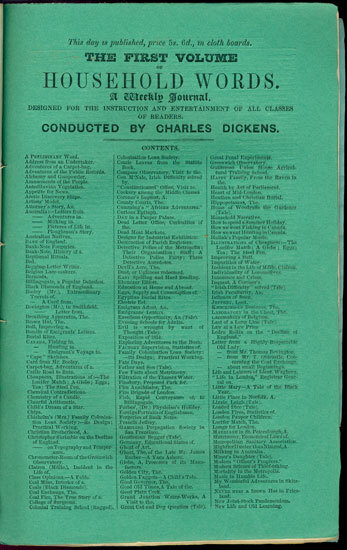 When Dickens quarreled with Bradbury & Evans over the publication of a statement about his separation from his first wife, he discontinued Household Words and incorporated it into a new magazine, All the Year Round, published by Chapman & Hall.